Dr. Hao Wang, born in August 1953. 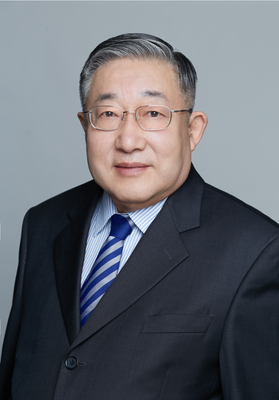 He is an Academician of the Chinese Academy of Engineering, an engineer at professorial level, Ph.D. supervisor in China Institute of Water Resources and Hydropower Research (IWHR) and has been privileged to enjoy the Special Allowance from the State Council of P. R. China since 1994. He is now Director of State Key Laboratory of Simulation and Regulation of Water Cycles in River Basin and Honorary Director of Department of Water Resources, China Institute of Water Resources and Hydropower Research (IWHR) and Director of Key Laboratory of Sustainable Development of Water Environment for East Asia (WEEA), and Visiting Professor at Tsinghua University, Wuhan University, Northwest Agriculture and Forestry University, China University of Geosciences and so on. He also serves concurrently as Secretary-General of Global Water Partnership-China (GWP-China), a member of National Environmental Advisory Committee, a member of the Science & Technology Committee of the Ministry of Water Resources (MWR), a member of the Science & Technology Committee of National Forestry Administration, Deputy Director of the Research Society of Technological Innovation Methods, Deputy Director of China Society of Natural Resources, Managing Director of China Society of Sustainable Development and Director of the Sub-Committee on Water Issues, Executive Director of Chinese Hydraulic Engineering Society (CHES) and Deputy Director of its Committee on Hydrology, Executive Director of China Society of Forestry，Director of Special Task Force on Water Issues-Chinese Society for Sustainable Development (CSSD). 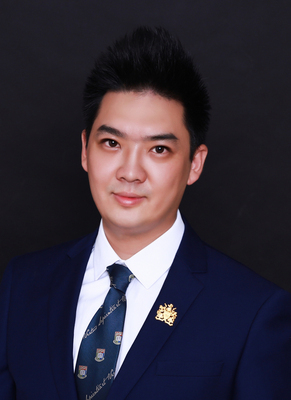 Dr. Xianyong Meng, born in December 1987, Ph.D. supervisor. He is now Research Associate of Department of Civil Engineering, The University of Hong Kong (HKU) and China Agriculture University (CAU). Who also serve as Senior Research Fellow of Research Center of Water Environment and Sustainable Development for East Asia (WEEA). Who has long been engaged in the study of hydrological model improvement, atmosphere driven field fusion assimilation, land surface model simulation, parameterization scheme, water resources pollution and non-point source pollution simulation and remediation. Dr. Xianyong Meng has established CMADS (Spatial resolution: 0.33 degrees, 0.25 degrees, 0.125 degrees, and 0.0625 degrees, Time resolution: Daily), CMADS assimilating nearly 40000 regional stations precipitation data in China, which can provide accurate meteorological data for a variety of hydrological model. Who also built the double distributed snowmelt runoff model forced by WRF and establish a numerical prediction of snowmelt flood simulation platform for the northern slope of Tianshan Mountain, China, Which has reduced hundreds of millions of dollars economic loss for local people's. Who also assimilation and construction a one km high precision atmospheric forcing field in Xinjiang, China (XJLDAS), and also participate CLDAS2.0 construction for China Meteorological Administration. Who has been hosted or participated six national science and technology support program and National Natural Science Foundation (NSFC) of China in recent years. Who also has been published over 70 academic papers. He has won many awards for scientific and technological progress reward by the China government and the China Society of water conservancy.